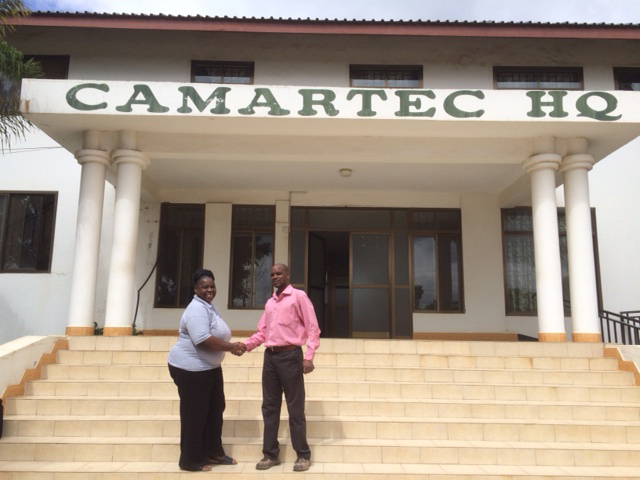 Lukas and I got a tip to go visit CAMARTEC in Arusha. It was most fortuitous! 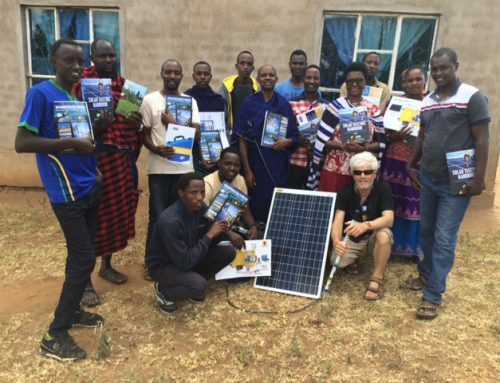 We made a great connection to this very interesting organization that’s doing technical renewable energy research and development. 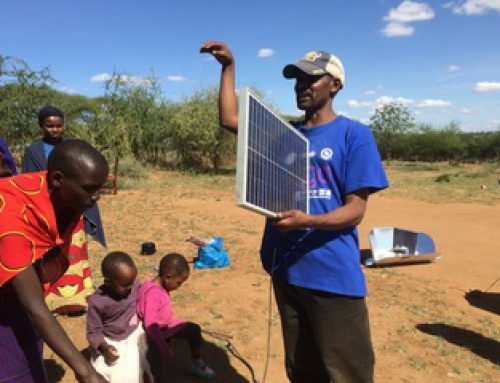 Their work focuses on practical applications for appropriate technology in rural communities throughout East Africa. Specifically, CAMARTEC undertakes professional R&D in Agricultural Mechanization and Rural Technologies for the provision of high quality technical services to clients in an enviromentally friendly manner. 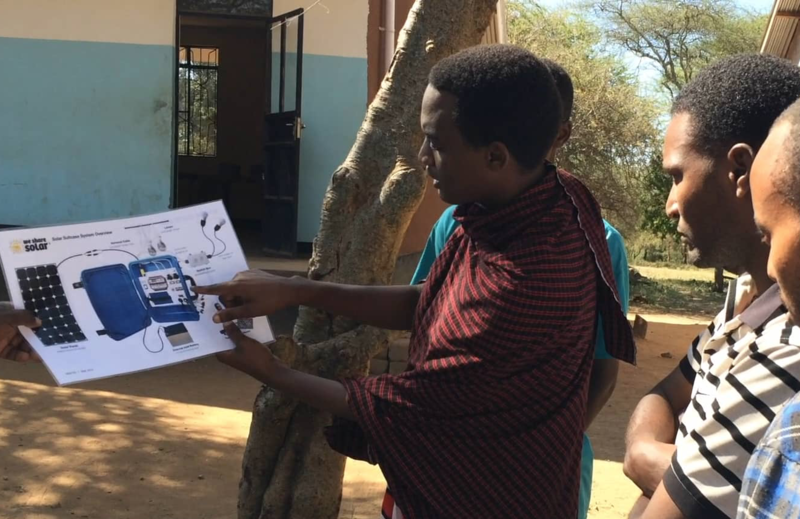 The Center’s mission is to become a leader in the provision of Agricultural and Rural Development Technologies in Tanzania and throughout East Africa. 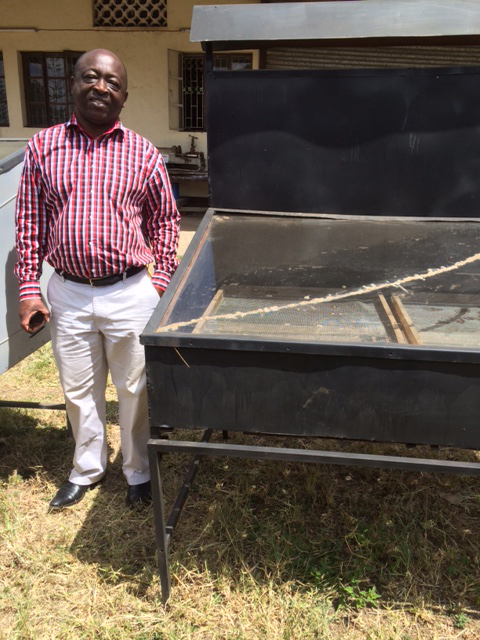 We were very fortunate to be shown around the facility by the General Director – Professor Siza Tumbo. Our recently discovered friend and ally, Rosemary Olive, is a 27 year experienced community development capacity builder. She is from Cameroon, West Africa and connected Lukas and I to this interesting governmental org based in Arusha, Tanzania. 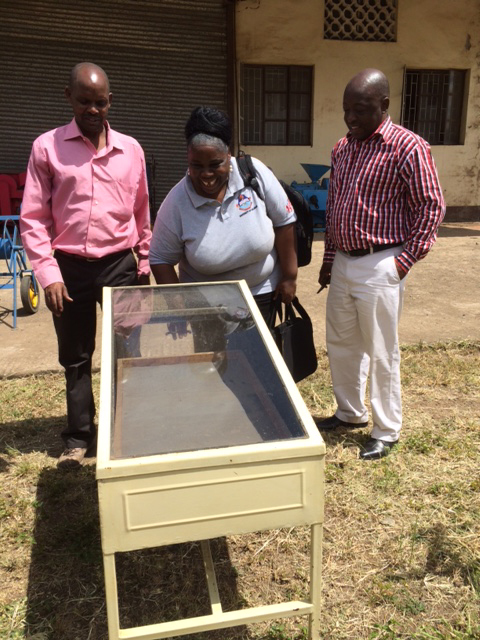 Lukas, Rosemary and Siza view a small beautifully constructed solar fruit dryer. 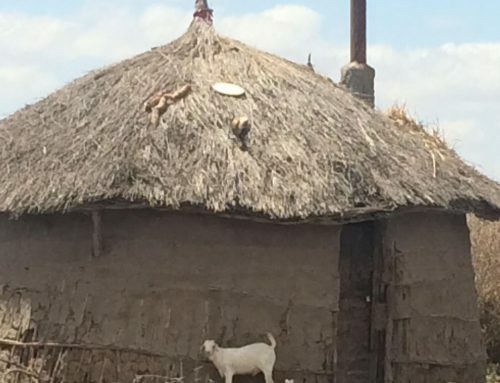 An excellent example of appropriate technology at a practical grassroots scale! 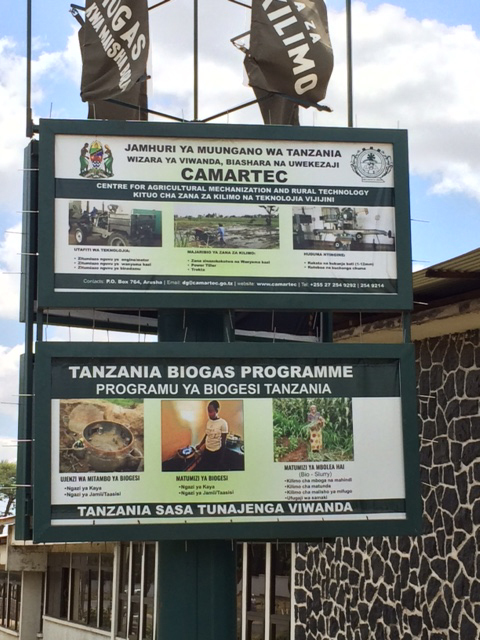 CAMARATEC’s premier program features their biogas work. 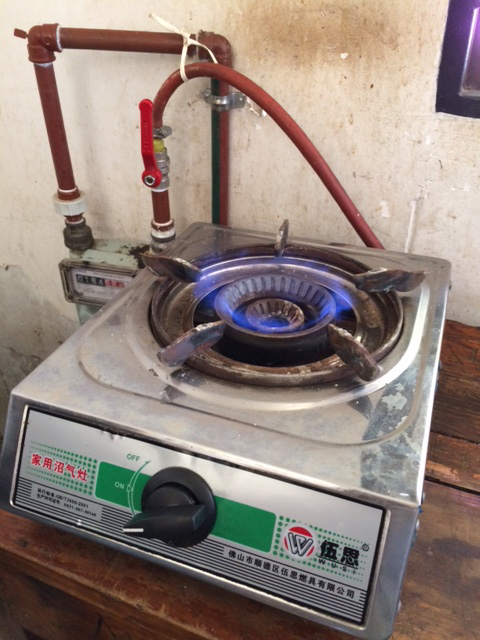 Using cow manure, water and compost material to make methane. 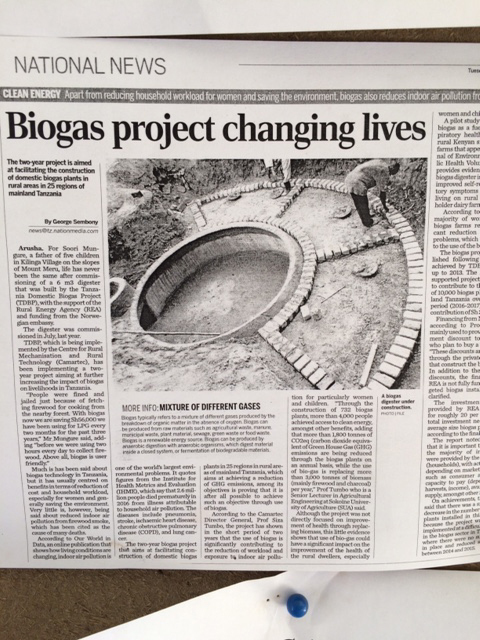 This ‘biogas’ is used for cooking and lighting in remote villages worldwide. 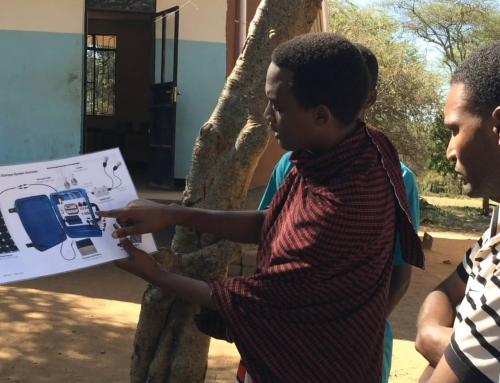 CAMARTEC is demonstrating and promoting this proven RE technology throughout the East African region. 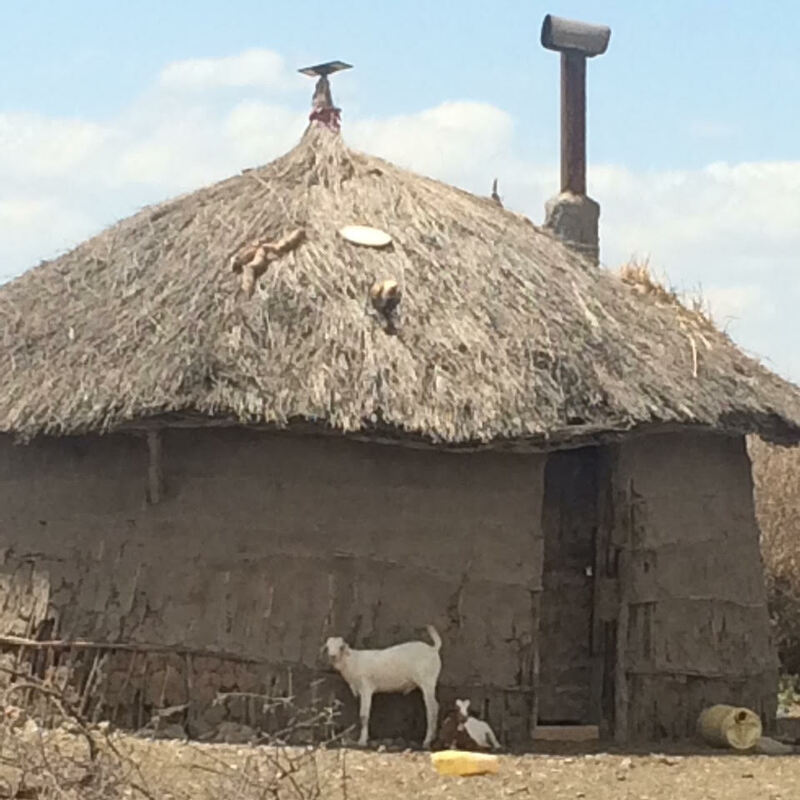 Cooking with gas from cows manure… and the other valuable end-product is quality compost! 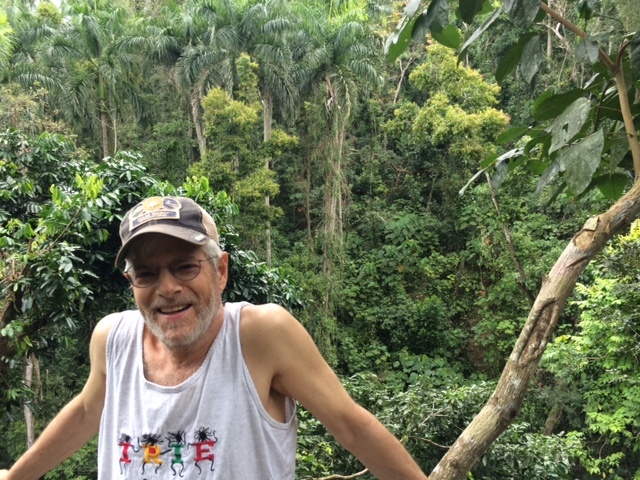 Lukas and I look forward to working with Rosemary and Siza on developing CAMARTEC’s fledgling solar programs. Discussions are underway regarding developing a solar PV training-of-trainers program next year. Please visit www.camartec.go.tz for more information.